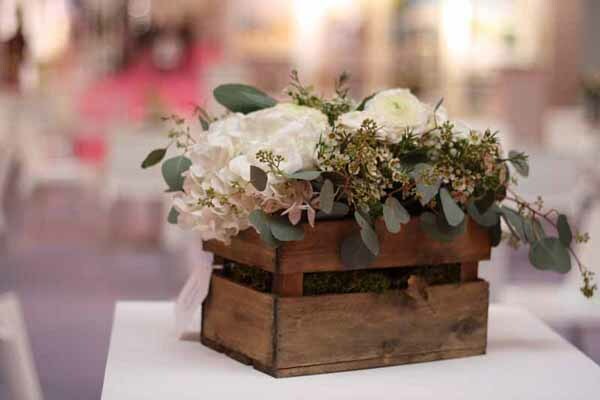 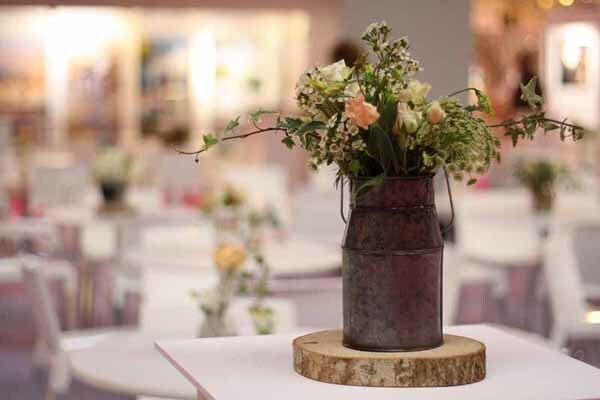 Back in October our sister company Passion for Flowers exhibited at The National Wedding Show Birmingham, they created a stunning display with cascading garlands of roses and foliage hanging delicately from muslin drapes. 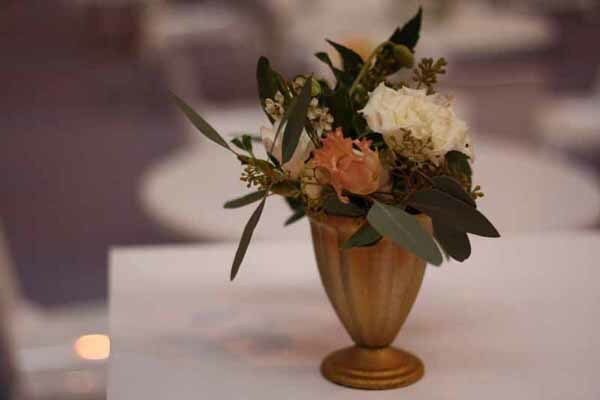 The large tablescape included a mix of bronze and gold vases and vessels filled with an autumnal mix of foliage and soft blooms. 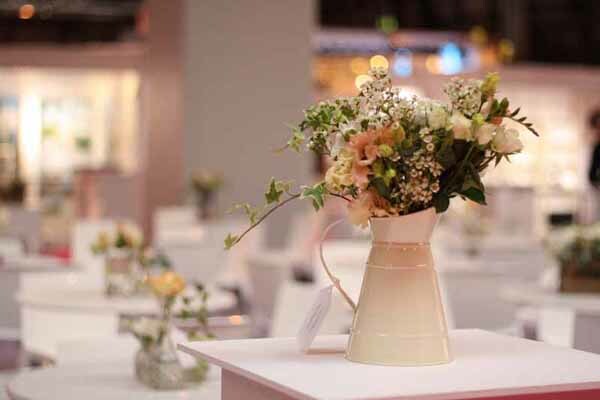 The hanging installation created a WOW factor to the stand with trailing amaranthus, roses, helebores and even more cascading foliage. 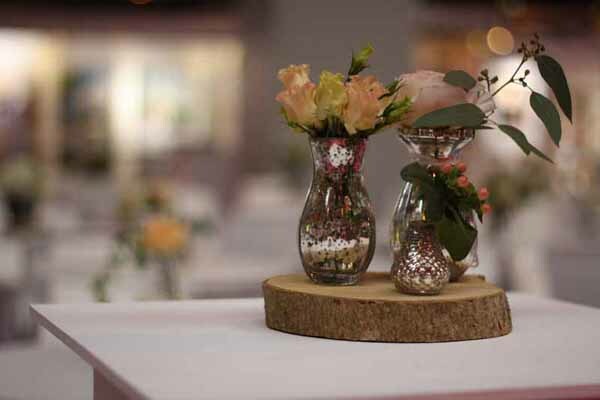 To see pictures of their stand have a look on their blog. 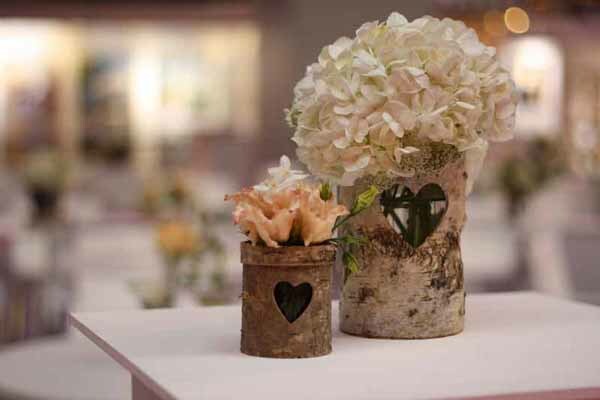 Passion for Flowers were also asked to decorate the tables for the champagne bar, for each table they used vases and vessels that are available to buy from The Wedding of my Dreams and they fiiled them with their floral creations. 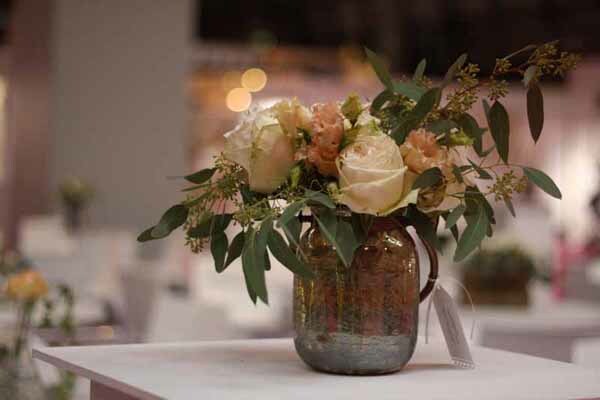 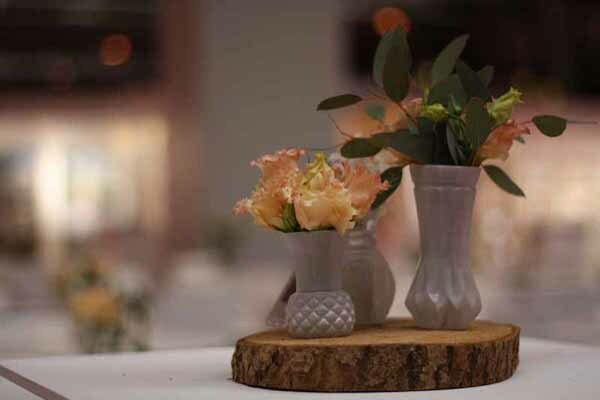 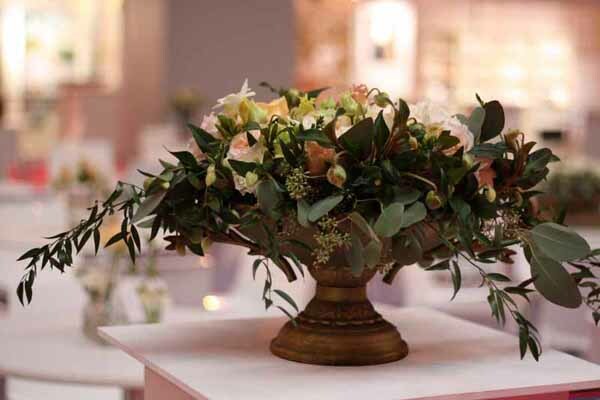 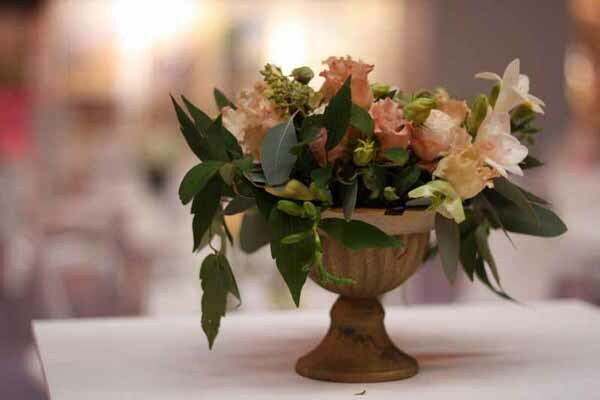 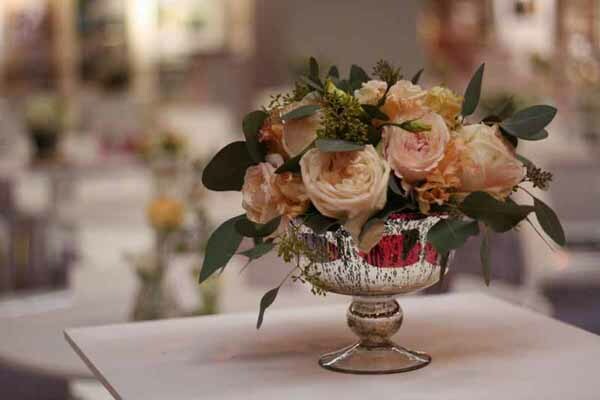 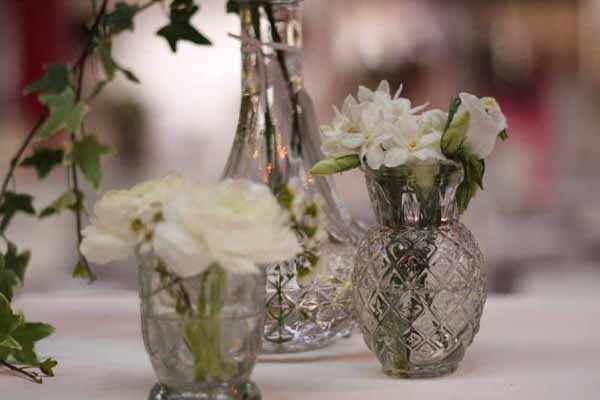 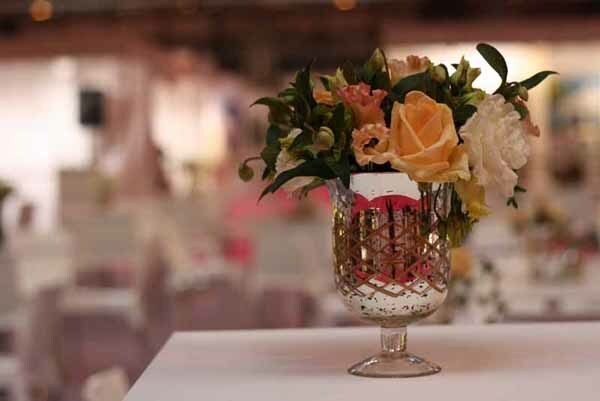 Browse below to see the vases and how you could adapt them for your own centrepieces.